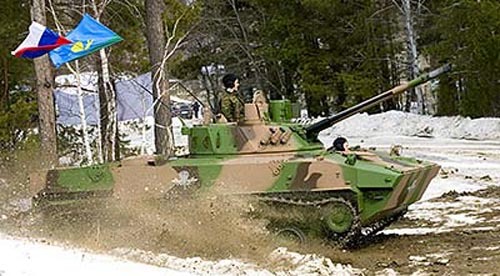 An item on pending troop testing of the BMD-4M for VDV . . . . No, they aren’t in the force yet. Despite the optimism expressed below, it remains to be seen if the Defense Ministry will actually order the system upon completion of troop testing. It sounds like the designers and builders have footed the bill — 200 million rubles — for the system’s development thus far.